An amount of dollars equal with 50% of the money invested will be credited against orders placed over the next three years. Not to exceed 25% of each order. For $10,000 investment, the investor will get 1,000 units of membership interest, and will have $5,000 credit to be applied against future orders, over three years period. So, when they place an order of $1,000 they will pay only $750. Join Florida's Hydroponic Hops Revolution and Reap the Rewards. Invest with the team that's revolutionizing craft beer brewing and restoring sustainable agriculture to Florida. As an early investor, this is your chance to get in on the ground floor and be part of what promises to be a lucrative and satisfying venture. Did you know that most US-grown hops are sourced from the pacific northwest and overseas? 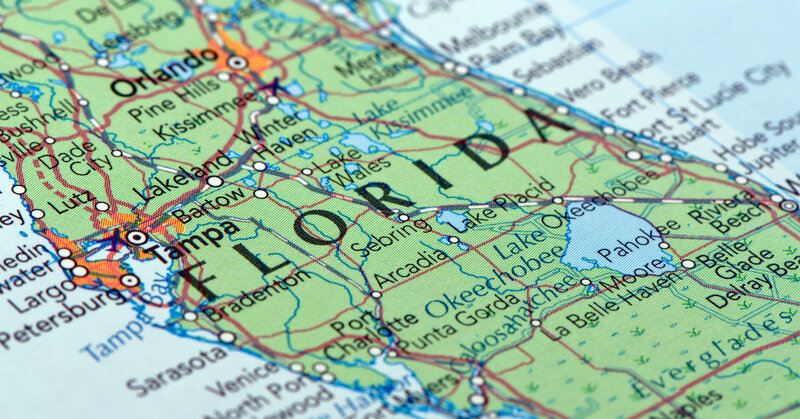 The distance alone makes it hard for Florida's craft brewers to get fresh hops. Forced to use stale dried hops pellets, they're lucky if they receive hops shipments once a year. The result? Beer taste is severely compromised, and varietals are very limited. The bottom line is that without fresh, local hops, the primary ingredient needed in every single pint of beer, the craft beer industry is stunningly underserved. But not anymore. Twin Bays has discovered a way to capitalize on the nationwide hops shortage and produce fresh, hydroponically grown hops so brewers throughout the Southeast can choose the varieties they want and get fresh hops delivered three times a year instead of once. a strong craft beer culture that is thriving among both residents and visitors. vast amounts of inexpensive and unused agricultural acreage. 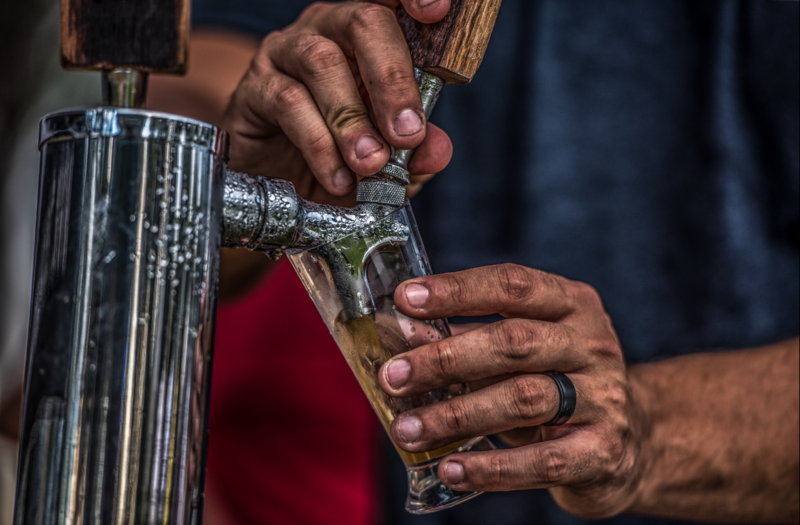 craft beer accounts for 25% of the US beer market share, with explosive growth the industry has encountered a shortage of ingredients in the form of hops. a large market of craft brewers local to Twin Bays Hop Farms exist as immediate market of eager brewers, ready for fresh, local hops. As with any smart investment, timing is critical in terms of understanding your industry's dynamics and market trends. Here's more information about beer, hops and Twin Bays' Secret Sauce to wet your investor taste buds. Currently a $26B industry, craft beer continues to gain market share in the overall $111.4B beer economy. After water and tea, beer is the #1 most popular and most consumed alcoholic beverage in the world. With no shortage of beer-lovers in sight, beer crafted with local, cultural, and sustainable ingredients, is a growing industry. The growth of craft beer industry means hops shortage. Revolutionizing the farming and distribution of the main ingredients in craft beer alleviates a shortage and excites breweries who are steadily stealing market share from the mass-producers. One of only four beer ingredients, hops are in short supply and demand is increasing. Hops is an unusually lucrative crop commanding $25/lb. Florida's growing climate is warm and temperate, limiting geographical placement for optimal hop growth. U.S. hops are typically grown in the Pacific Northwest, are harvested once per year, and are pelletized to prolong shelf life. This results in hops that are oxidized, browned and sacrifice critical flavor and aroma profiles. 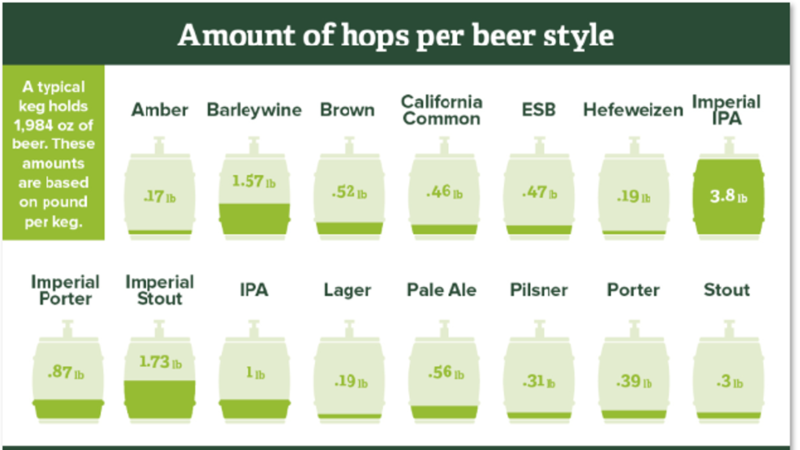 Craft beer uses a higher hops volume than commercial beer. The growing craft brew industry is desperately in need of a hops supply. Brewers need to source hops (as they aren't locally or regionally available,) many times importing from unpredictable providers. A twining climbing plant native to north temperate regions, cultivated for the conelike flowers borne by the female plant, which are used in brewing beer. Off to a great start, in initial planning, Twin Bays Hop Farms took pre-orders valued at $72,000. We provide local breweries fresh hops every ninety (90) days. We give breweries the ability to choose their own varietals and watch them grow through an onsite viewing window. Current greenhouse structure can produce 11,000 lbs. of fresh hops every three months. 135 days after funding, our first batch of Fresh Florida Hops will be in the hands of local breweries. Twin Bays is changing how craft beer fans consume and enjoy beer. We do this by revolutionizing hop farming to help in sustaining the ever-growing craft beer community and alleviate the dire demand for Fresh Florida Hops. Many craft breweries are local to Twin Bays Hop Farms and represent an immediate market of eager brewers, ready for fresh, locally grown and sustainable Florida Hops. Twin Bays Farms is licensed in St. Petersburg, Pinellas, FL and is ready to produce with all agricultural necessities in place, including real estate and greenhouse structures. Twin Bays has mastered the turn-key hydroponic system, with proper funding, ready to start immediately. Uniquely positioned to serve a thriving craft beer industry, our executive and technical agriculture team at Twin Bays is in position and ready to farm. In mid-twentieth century, beer was hijacked and monopolized by big corporate breweries. In 1979 the number of craft brewers was 8. Now they number over 6,000. "Craft beer accounts for 25% of the US beer market share." With explosive growth in craft beer, the industry has encountered a shortage of ingredients in the form of hops. Brewers today are forced to use dried hops in pellet form, usually waiting 12-15 months to receive their hops. Foreign owned, big industry beer accounts for 90% of the US beer landscape. These commercial breweries have purchasing power to corner the hops market, making it increasingly difficult for small craft brewers to secure required ingredients needed to make beer. Uniquely positioned to serve a thriving craft beer industry. 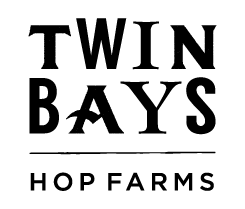 Twin Bays Hop Farms is licensed in St. Petersburg, Pinellas, FL. All agricultural necessities in place, including real estate and greenhouse structure. With proper funding, ready to start immediately with turn key hydroponic system. The executive and technical agriculture team is in position. 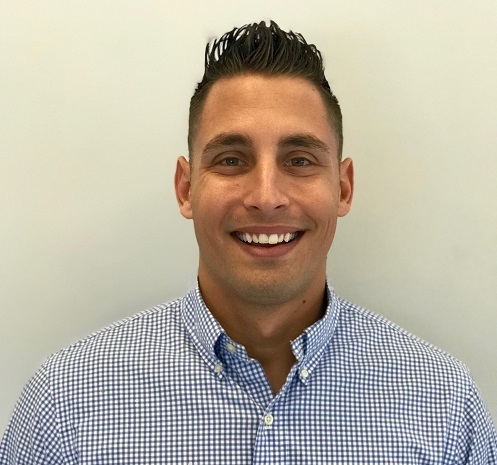 A native of Pinellas County, Florida, Brenden comes from a family of entrepreneurs, whose accomplishments in the hotel and restaurant industries are well known through the bay area. After completing high school, Brenden chose to begin his career by serving in the United States Military, working primarily in Military Intelligence. After completing his time in the Armed Forces, Brenden wanted to apply his strong leadership training and skills in both marketing and success coaching to the private sector. 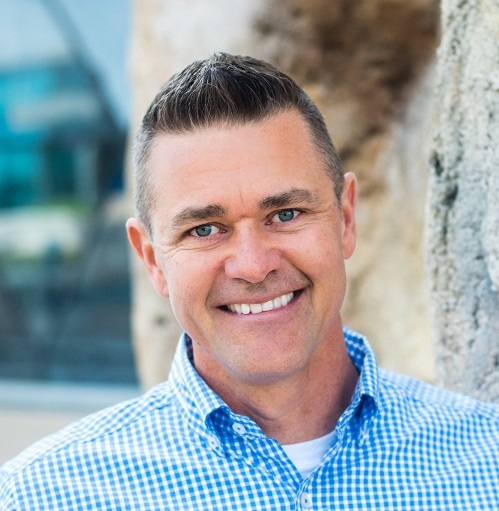 Since leaving the Military, Brenden has held employment with several successful Fortune 500 companies, where he was responsible for general brand growth, PR & Marketing outreach programs. Brenden has since combined his love for local, fresh and sustainable craft beer into his desire to be the first to grow Hydroponic Hops in the State of Florida. Over the course of the past (3) years, Brenden has studied, implemented and planned his first recirculating Hydroponic Hop growth while working with various state research programs, government agencies and local horticulturalists. 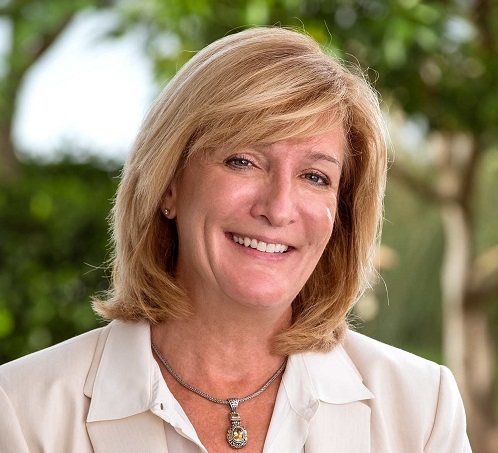 Lori's operational, financial, and strategic genius has benefited more than a dozen organizations for whom she has served in an executive or Board position. With a very successful history of overhauling, streamlining, restructuring, merging, acquiring, and navigating private equity for organizations at the $450 M revenue-size, Lori has agreed to captain Twin Bays' venture. She recognizes the tremendous business and humanitarian opportunity in the Florida beer market. Kent is a passionate business leader and an enthusiastic member of our team. 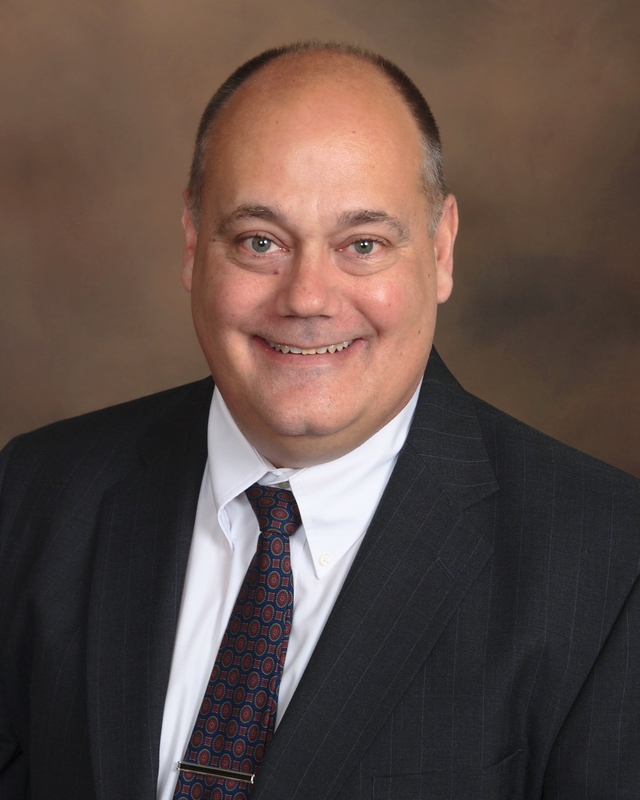 He a state Certified Building Contractor, is the CEO of a St Petersburg based development firm, and is a licensed residential and commercial real estate professional who sits on several professional advisory boards and is a Member and Ambassador of the St Petersburg Chamber of Commerce. Kent currently holds multiple Federal EPA certifications, studied at the University of Florida's Institute of Food and Agricultural Sciences and was awarded The UF/IFAS Agricultural Best Management Practices certificate, studied Criminology at the University of South Florida as well as Business Management and Marketing at the University of Phoenix. 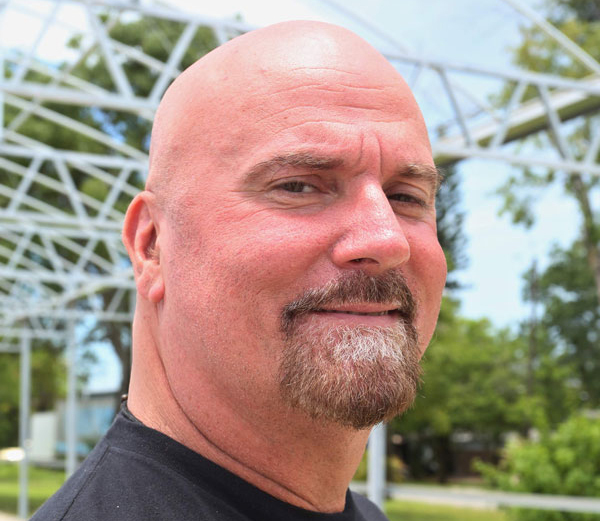 He is a past member of Florida Nursery Growers and Landscaping Association, and is a certified educator for the Division of Environmental Management. Kent grew-up in Southwestern Pennsylvania and spent much of his youth working on farms and acquiring a deep fascination with agriculture. He is excited to share his successful business experience and knowledge while continuing to research, learn and then pioneer the latest technological and scientific advances in sustainable hydroponic and greenhouse growing. Oscar is a highly-decorated former Detective from Washington D.C. and a former United States Marine. Oscar has served three tours of duty in Afghanistan as a DOD contractor. Oscar is a specialist in communication and intelligence and was deputized with the Department of Justice. His awards include merits of service, letters of commendation and more. In addition, Oscar Mouton is a local horticultural enthusiast. His expertise includes, crop production systems management with a focus on IPM management, cover crops, crop rotations, equipment modification and use, and facilities design. Florida Farmers have an opportunity to fill empty fields with sustainable commercial hop crop. Most hops are grown in moist, temperate regions to the north. However, with the ability to operate a hydroponic greenhouse where all conditions can be carefully and precisely controlled by the grower, climate is no longer a barrier to entry to grow hops in Florida. Like technology, gardening is evolving. For a variety of reasons (e.g., space, weather or climate) growers are migrating to hydroponics. Hydroponic gardening eliminates the headaches of: weeding, soil borne diseases, fertilization, pesticides, cultivation labor, soil texture, and tilling. Twin Bays Hop Farms invites brewers to choose their own fresh hops. Twin Bays is one of the only hydroponic hops farms in the United States offering breweries the ability to brew with the highest quality sustainable hop products on the market. Through hydroponic hops farming, TBHF is able to produce maximum product yields and the highest numbers of alpha acids in each varietal. By using Twin Bays Hop Farms product, which is locally grown, Brewer's product is now "Fresh From Florida". "I'm really excited about the concept of using fresh hops. This is an opportunity we haven't had as brewers in Florida. �it's something we could really use in the state." - Micheil McElvey Head Brewer � Mastry's Brewing Co.
"An American craft brewer is small, independent, and traditional." A brewer which has a majority of its total beverage alcohol volume in beers whose flavors derive from traditional or innovative brewing ingredients and their fermentation. Flavored Malt Beverages (FMBs) are not considered beers. Hello, I grow Hops for The Florida Aquarium in Tampa. I am interested in investing. How many shares of stock do you get for the minimum $200 investment? I like your pitch. How did you come up with your valuation for Twin Bays Hop Farms. Our Chief Financial Officer calculated the valuation for Twin Bays Hops Farms by using a leading provider of online business valuations. The provider is an independent third party that utilizes the most used valuation practices recognized by valuators all over the world. The valuation number is based, among other things, on a three year projection that includes the build-out of two more greenhouses.